You've heard the phrase drive a little save a lot? We believe in it! Our locksmith's service the Montgomery Area! We are there if you need us to replace a lost set of keys, or re-key your home. We're just a short trip down 85. OEM Replacement Car Keys, Remotes and Proximity Keys Sold Here! We come directly to your location and take care of your needs no matter the situation. If you need a residential locksmith in Montgomery, we offer a variety of services to suit your needs. Do you need your locks rekeyed because you just moved in and don't know who has a key? Perhaps your hardware has not aged so gracefully, and the once mirror finish is now cracked and black. 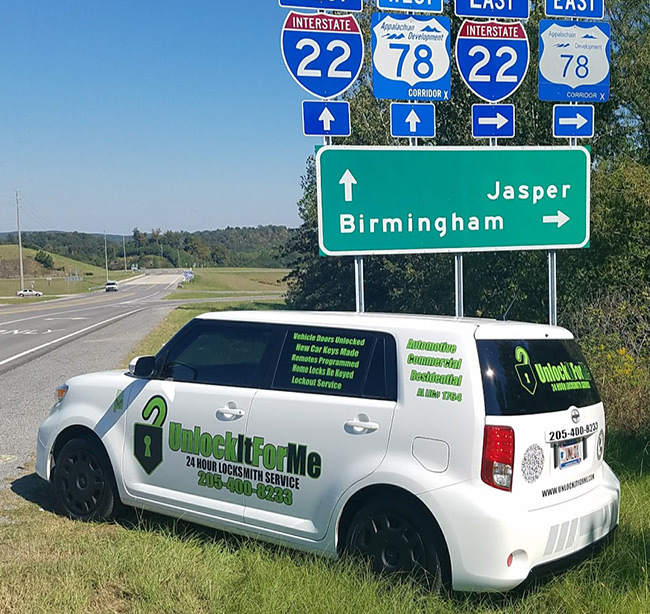 We can get your lock and key needs taken care of in the Montgomery Alabama Area. New hardware installations are quick and easy, and we will ensure each lock is keyed alike for your security and convenience. No more fumbling with two keys. Does this one work this lock..or the back door... Don't worry about it! We will give you one key for all!